Most of people relate both of the words mentioned in the title with diseases. However, many still believe that these two words have absolutely the same meaning. Well, it is not quite so. Nevertheless, in order to realize the differences, one must know what are the overall meanings of these two nouns. First of all, if there exists an ongoing disease, rapidly and uncontrollably spreading either through direct contact between people or through the means of air, water and similar mediums, there is a high likelihood that either epidemic or pandemic is at hand. Furthermore, a serious number of people needs to be affected by the raging disease in order to make it an epidemic. Finally, even more people need to fall down under a certain illness in order to call it a pandemic. Therefore, there are differences involving quantity, the size of the area where the disease is massively present, the very type of the disease etc. Although, quite same in the functioning principle, pandemic covers a significantly larger area of a population. Namely, if a virus or some similar disease gets out of control, it will firstly attack those with weak immune systems. These are children, the old, chronically sick and those with terminal diseases. This will, most surely, mark an epidemic. If this epidemic is not taken care of, and the virus continues evolving and spreading, a pandemic will occur, striking everyone without exceptions. If we rely on linguistics, it can provide some answers. Namely, the name epidemic is derived from a combination of two Greek words, “epi” meaning “upon” and “demos” meaning people. So, a disease spread among people is an epidemic. Following this pattern, we know that the epidemics, as mentioned before, are smaller than pandemics. However, they still do cover a significant area and part of population. Epidemics may cover a town or a larger city. In that respect, they are easier to isolate, stop from spreading and find a cure for. Throughout history, there has been the cholera epidemic throughout the world, affecting different countries, the plague, getting related to Europe and many others. 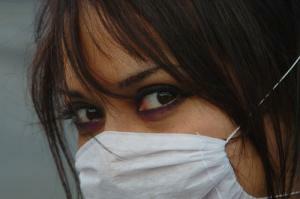 Most recently, there was an epidemic of the notorious swine flu, appearing in many countries around the world. Following the same pattern, “pan” is Greek for “all”, while “demos” still means “people”. Therefore, a pandemic is an uncontrollable spreading of a disease, affecting the majority of people throughout the globe. Stopping it levels with impossible, and the outcome is mostly catastrophic. For example, small pox killed about 60 million of people in the 18th century. This kind of effect is what pandemics is all about, making the grim difference between the two quite visible. How to start with the prevention of heart diseases? Bubonic Plague is a contagious disease caused by bacterium Yersinia Pestis. This Gram-negative bacterium belongs to the family of Enterobacteriaceae.